070 Shake is easily one of the most talented and versatile up-and-coming artists in the game right now. After all, how many artists can put on their resume that they are both Kanye West’s protégé and have toured with The 1975? It is a testament to the New Jersey’s promise as an artist without limits, a notion she flexes in her two new singles. 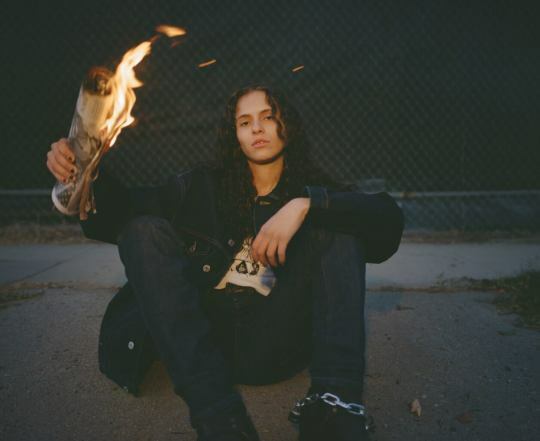 “Morrow” and “Nice To Have,” the two new singles from 070 Shake which were dropped ahead of her Coachella debut, brilliantly illustrate her gift as both a skilled lyricist and empathic singer. In “Morrow,” we open up to a world of far-off Spanish-style instrumentation only be to be hurled forth into a bass-booming changeup. It’s the sort of exhilarating production technique one would expect to find on any modern West record, and it works here to exceptional effect. More than just stirring production, “Morrow” does what every great song should hope to do. “Morrow” realizes that its greatest strength lies not solely in its impeccable production but how an artist can leverage that soundscape to create something truly unique, which is exactly what 070 unique does in spades. Uttering the lines “I know it’s hard to swallow/ I don’t know if I’ll be here tomorrow” with a prophetic-like calm, 070 Shake weaves an intensely moving sonic tale. Meanwhile on “Nice To Have,” we are introduced to a more reflective 070 Shake. Swaying between heartbreak and wistfully wishing for romantic attachment atop is serene production, “Nice To Have” is R&B done wondrously. Taken together, “Nice To Have” and “Morrow” may arrive in stark contrast to one another but they both feel wholly like a 070 Shake project. Reflective, hypnotic, and exemplary outings of both rap and R&B, this is the very definition of an artist whose limits are nonexistent. April 18, 2019 From its very opening moments, it is immediately apparent why the enigmatic artist is currently gracing the cover of Spotify’s Anti-Pop playlist.